The Crowtographer, as she is known, shares eyecatching pictures of BC crows and calls New Westminster home. She is a prolific poster on social media, and has amassed a huge following: more than 10,000 fans on Facebook, Twitter, and Instagram combined. 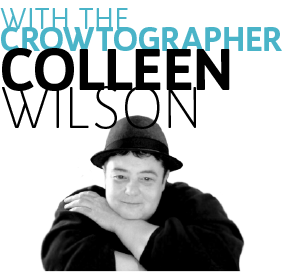 You rarely see the Crowtographer herself in the images she shares, but we think you catch a glimpse of what makes her tick by the pictures she shares. Tenth to the Fraser had a chance to connect with Colleen Wilson to find out more about this emerging New Westminster artist. Tenth: Tell me a bit about yourself and how you landed in New West. What’s your day job? CW: A self-professed introvert, most days you’ll find me hidden behind three computer screens working with some pretty cool software that helps connect people to jobs. My wife and I have always liked downtown New West so when we were looking to make a move last August, we knew this was exactly where we wanted to be. We enjoy having Westminster Pier Park and the River Market close by, and love having so many beautiful heritage buildings in the area. It sure doesn’t hurt to have Old Crow Coffee, Brick & Mortar Living, The Columbia Street Sandwich Company, Big Star Sandwich Co. and El Santo as neighbours either! Tenth: What do you use to make a good picture? CW: I shoot with a Canon 80-D DSLR and use a 70-300 lens more often than not. Truth be told, I rarely venture off the auto settings and still have an awful lot to learn about using my camera to its fullest potential. For every decent picture I post, there are likely thirty that went straight to the trash bin. That being said, I’m working on being more mindful of composition and am always watching for opportunities to add more elements to the crowtographs. Things like pops of color in the background or interesting lines are always appealing. When I first started, I had a tendency to go overboard with the post-editing but have backed off on that considerably. I still flip many images from color to black and white; mostly because it lends itself so well to my subject matter but also because I think it brings out the soul of the photo. Tenth: Since you promote so much of your work on social media, have you had any problems with people stealing your images? Has anyone approached you about licensing? CW: I’ve seen it happen every now and again but the number of people that contact me to ask if they can use an image for one reason or another far outweighs those who just help themselves. I’ve had people suggest I watermark the images but I’ve always felt that detracts from the photo so prefer to rely on people’s integrity. During this past May I invited people to use my images in exchange for a donation to their local animal rescue and had a few takers that actually followed through! I have also had an author buy all rights to one image which she used for a book cover but so far no requests to license anything yet—though I’m open to it. CW: I’ve been drawn to them for as long as I can remember. I’m fascinated by their incredible intelligence, the ways they communicate and their astonishing memories. I admire their adaptability and resilience and absolutely adore their mischievous natures. I’ve watched them play, watched them fight, watched them fiercely protect their young and watched them grieve their dead. At the end of the day, they are a lot like we are and I like to try and capture images that give the viewer a sense of that. There are a lot of great stories about the incredible relationships some people have with crows. 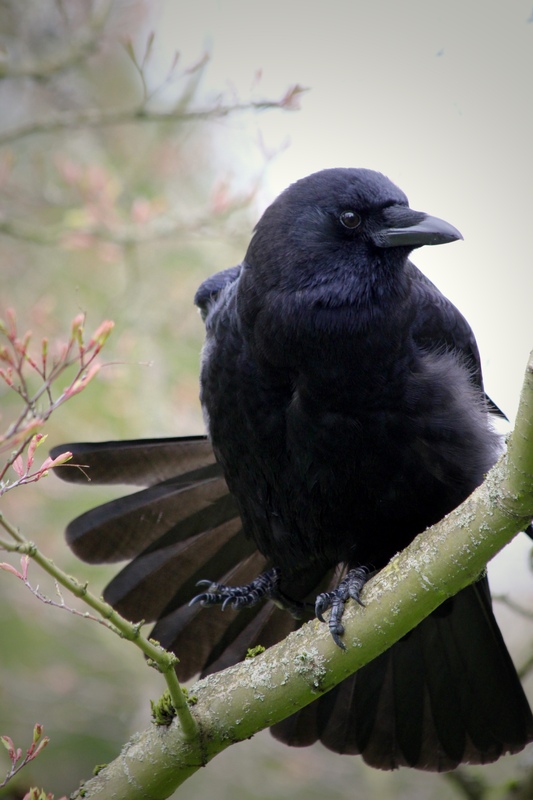 Stories like the young girl in Washington State who has been getting gifts from her crow friends for years or the story of our local celebrity crow, Canuck, and the remarkable bond he has with his human friend Shawn. 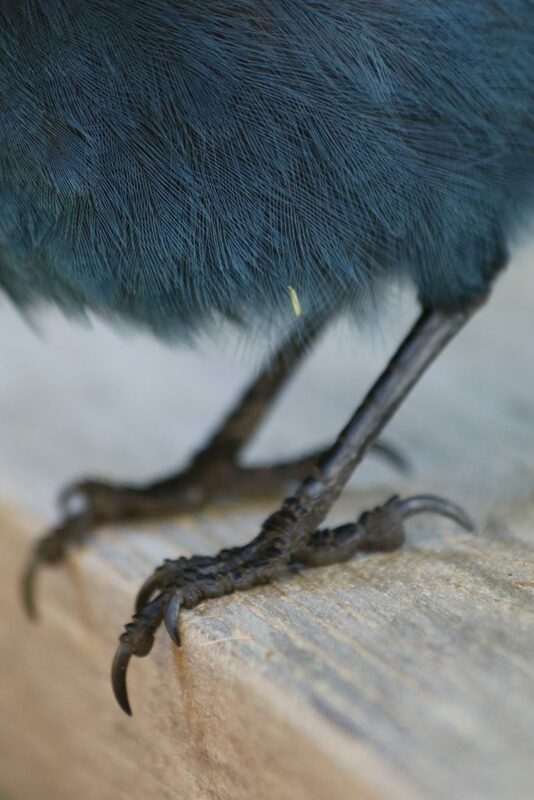 Tenth: Some non-crows make their way into the pictures you take, like eagles and Steller’s jays. How do you find opportunities to take pictures of birds? CW: Wandering around with the camera is like meditation for me. It brings peace and keeps me grounded so I try and find as many opportunities as I can to get out there and shoot. 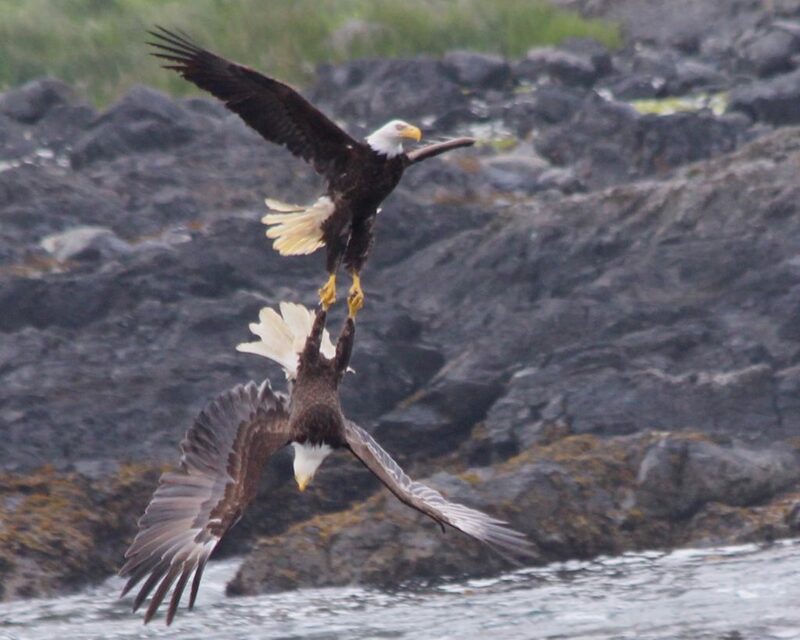 The non-crow shots are usually from vacations in Ucluelet. Steller’s jays hang out around the cabin and they make for some very entertaining breakfast buddies who will do just about anything for a peanut. Between their antics, their colour, and their punk rock head feathers they make it easy to get great photos! I’ve also been pretty lucky with eagle encounters there and could photograph those glorious creatures all day. Tenth: The large Burnaby crow rookery has been described as creepy a few times, and I’ve seen a “crow attack map” online as well. 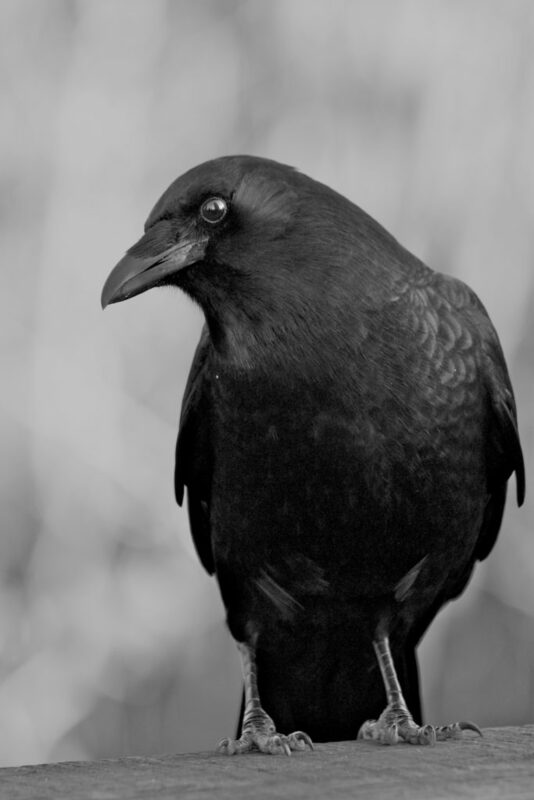 Why do crows have a bad rap? CW: We can thank ridiculous Hollywood stereotypes (Alfred, I’m looking at you) and some pretty dark mythology here. 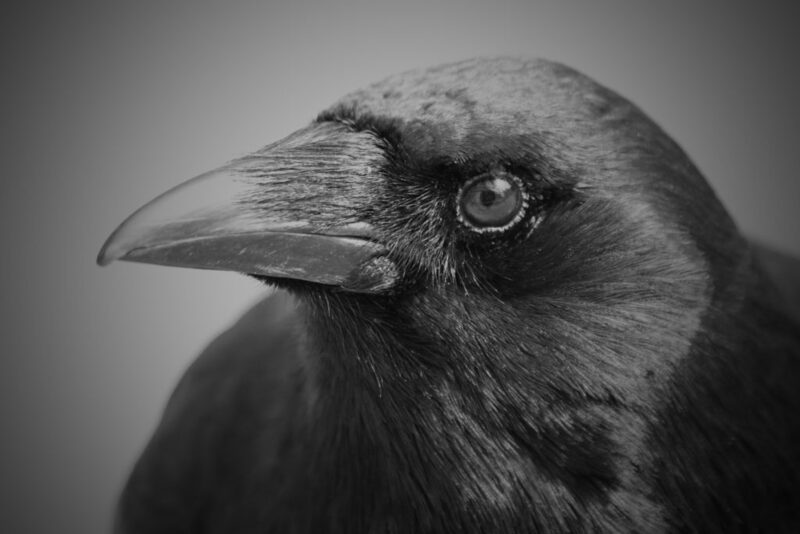 Crows are often linked to death, darkness, or evil in folklore and they don’t do much to dispel the image. Throw in the fact that they will eat almost anything including crops, roadkill, and baby sparrows then add a few stories about people who have felt the wrath of a protective crow parent and you can see how some people might not be such fans. It seems like no one is ambivalent about crows, you either really love them, or you really hate them. With their high brain to body ratios and proven ability to use cognitive reasoning, there’s more to these birds than meets the eye and that makes us a little nervous. 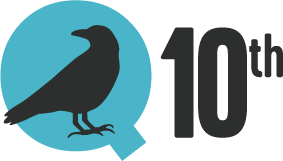 Tenth: Do you have any comments on the relationship between crows and the urban environment? CW: I’m no expert on this but I think urban crows have fewer predators to worry about than their rural counterparts. Which is not to say that urban environments aren’t hazardous but these guys seem to adapt well to city life. They eat almost anything and one of the perks of living around humans is the abundance of garbage that we leave lying around. Speaking of which, can we reconsider the wisdom of plastic domed beverage lids and maybe redesign them so birds and other animals don’t get all cut up when they get their heads stuck in them? It’s a pretty horrible thing that happens all too often to animals that are attracted to garbage/ litter. 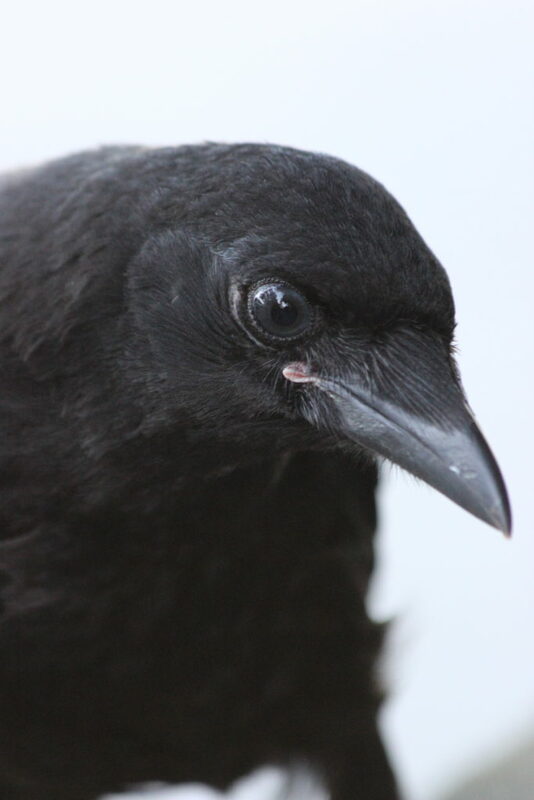 Tenth: Any favourite memories from taking pictures of crows? The very first time my buddy Dave Crow (that I had been photographing for two years) brought his fledglings to meet me and they had no fear of me or my camera whatsoever! Amazing! The first time I met a bird I named Sophie Crow who had no feathers on her chest and was the scariest and saddest looking wee crow I’d ever seen. That was almost four years ago and she’s still bare chested but alive and well! Going looking for Canuck the crow, actually finding him and getting a few good shots. Having him sit on my arm was pretty cool too! 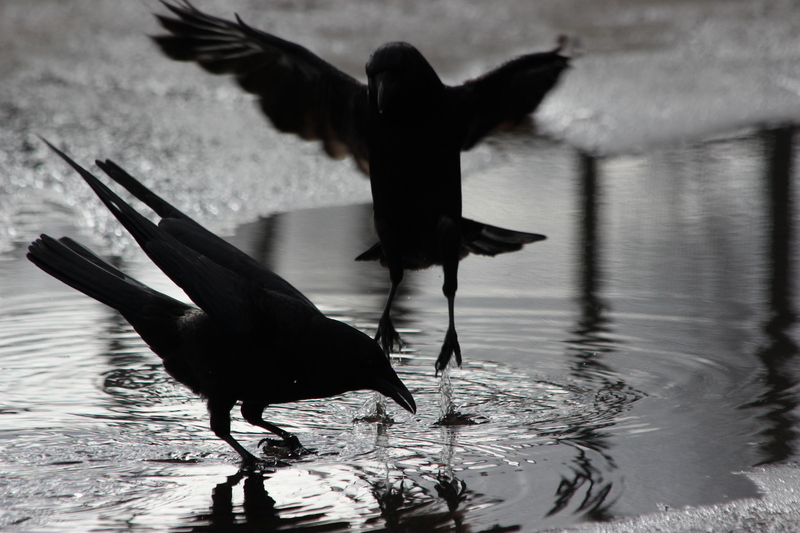 My first crow photo walk with 2 awesome friends that I met on Twitter because we all followed @streetcrow. Amazing company, great walkabout and some great crowtographs. Tenth: Tell me some of your favourite mythology or legends about crows. CW: Creators of the world, messengers between realms, harbingers of death, tricksters, keepers of light, sun stealers, I love them all; even the dark ones that make crows out to be evil and awful. Tenth: Where are good places for people to go to crow-watch? CW: I get a kick out of watching the local crows log-surf on the Fraser down at Pier Park. For the brave hearts, a trip to Still Creek at dusk is a must! I’d recommend waiting until fall when the number of crows going back there each night is higher than it is right now. To see and hear that many crows in any one place is unreal. Tenth: Where can people buy prints of your work? I’m slowly developing a line of crow greeting cards and fridge magnets and you can find some samples of these at the Bloom Bloom Room on East Columbia. Brick & Mortar Living have also kindly carried some of my seasonal cards and the good folks at Old Crow Coffee gave me my first opportunity to display my work in a public venue. New West is a great place to be an emerging artist and I am immensely grateful for all the kindness and support!